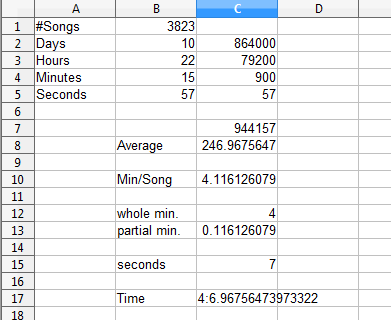 and calculate the average song length. 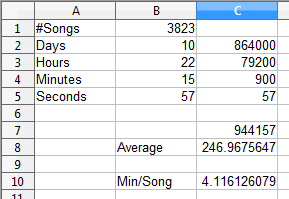 If you read that tutorial, you know that the average length of each item in my iTunes library (including podcasts) turned out to be 246.9675647 seconds. In this tutorial, we’ll find out how to turn that into information that is useful to a regular human being. Since we’ve already covered the basics of entering formulas and functions, I’ll skip over most of that. Instead, we’ll look at a couple of more advanced functions. 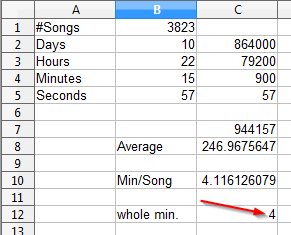 so our average time is approximately 4.11 minutes per song. 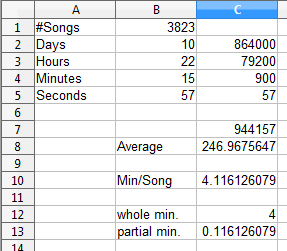 Separate the whole minutes (4) from the partial minutes (0.116126079). 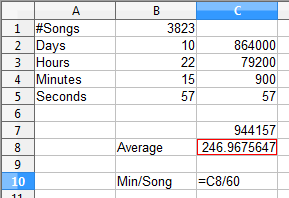 Convert the partial minutes into seconds. This is actually easier than it looks. That’s still a long number. We need to round it off. We could use the =INT() function again, but let’s learn how to format cells a bit. 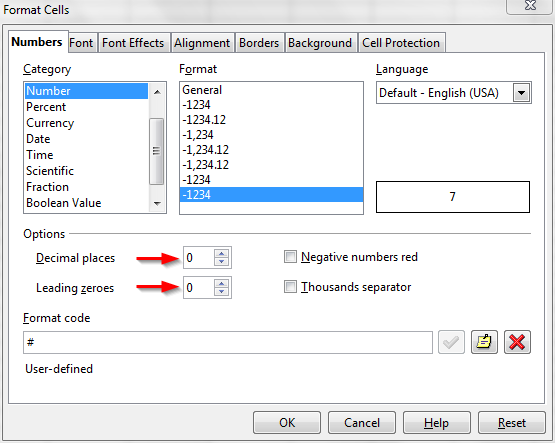 Under “Category” we’ll select “Number” because these cells contains numbers. Under “Options” we’ll set both “Decimal places” and “Leading zeroes” to 0. I added arrows in the above screen cap to highlight this. 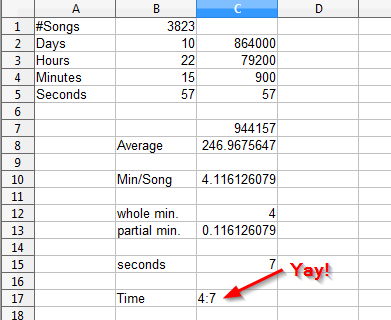 Now we just need to put those together so that they appear like this: 4:07. We can do this using the =CONCATENATE() function. =CONCATENATE() is a handy function for formatting your output, taking whatever input you hand to it and stringing it together like beads on a string. 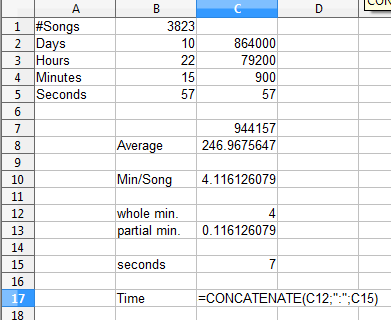 In this case, the formula I used was =CONCATENATE(C12;":";C15). I had to include the semicolon between quotation marks. Now that is exactly not what we wanted. 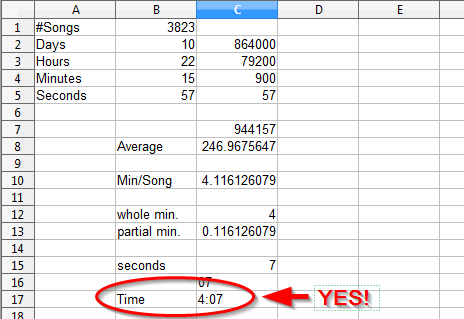 If you recall, we formatted the seconds to display a number with no places after the decimal. However, we only formatted C15 that way. 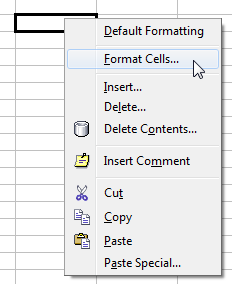 That format won’t affect other cells that the data from C15 is copied over to. What we need is a way to specify the precision of the data in C15 that will carry over to other cells. 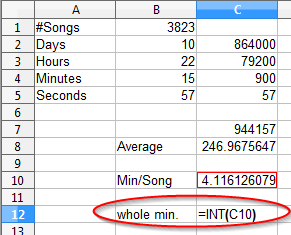 We already have a function, =INT() that will strip off the decimal portion, but that won’t work for us. 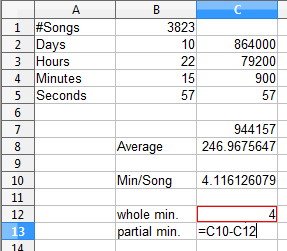 Our value is very close to 7, and =INT(C15) would give us a value of 6. We need a function that will round values to whatever level of precision we want. Except that’s not what we want, either. 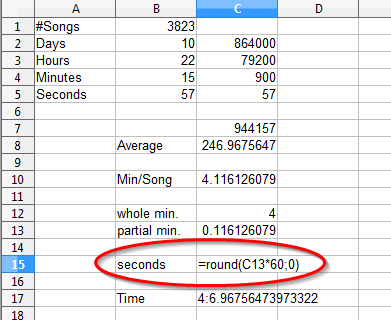 In time notation, the second number (in this case, the seconds) should always be written with two digits. That really should look be 4:07. We could use the =CONCATENATE() function to add a zero in front of there, but if the seconds were two digits already, we would end up with three digits for the seconds, instead of two. What we need is a function that will add a leading zero only if the value is less than ten. A test that is either true or false. What to do if the test is true. What to do if the test if false. The seconds are less than ten. 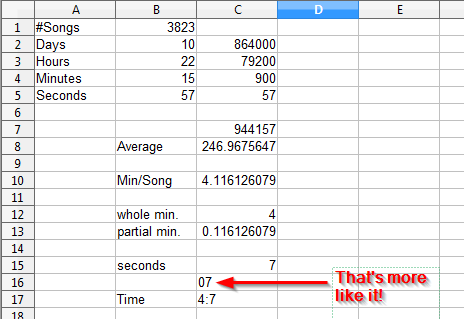 Add an extra zero when displaying the seconds. Display the seconds the way they are. 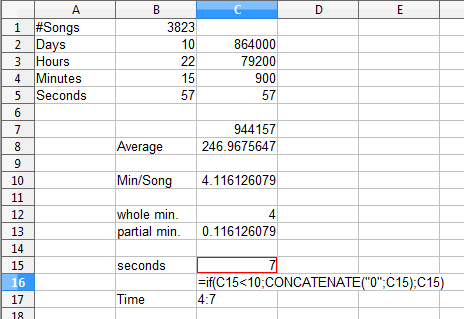 If you look closely at C16, you can see that we’ve included the =CONCATENATE() function inside the =IF() function. This is called a nested function. Note that when we nest a function, we omit the equal sign. That only occurs once in each cell, at the very beginning of the formula. In reality, it can become difficult to keep track of all those nested functions. It’s usually easier to put all of those functions in their own row or column and then hide them. We can even put them in a separate worksheet. There are advantages and disadvantages to both of those methods, but we’ll cover those in a later tutorial.